D….d…..d….d.. Well, December the 3rd! On the cold winter day, when everything was freezing outside, when it was too dark to see anything without the car lights on and when all the seniors where so tired after this long long week… nearly no one was in bed. Almost all of us (except of course for some lucky people who had decided to apply to European universities) were standing outside on ZANDUKELI street and freezing. Before I describe what happened on this particular day I want to list several points about how the SAT test day works for the mmmagnificent class of ….2012…. .
1. WHOOO It’s cold ! One of the inevitable things that you feel before you get inside the building is that whether it is summer or winter you are always freezing. On every single occasion you realize that the next time you have to dress differently. But, let’s be honest,you never do it. The greatest way to avoid the cold is to jump all around along with some crazy people and dance. Keke is a good company in such cases. To say the truth I still do not understand why we’re acting so crazy on every single SAT day– we say we are cold but in some moments we realize we are simply too nervous . But still the worst thing about SAT test breaks is that they are so short you do not know which to choose –toilet or eating. Another traditional and important step before the test is the NAME-reading ceremony, where the black iron door is opened and a young girl comes out with a long long list. It takes years until she finishes reading everyone’s name but still it is extremely fun as each single name is followed by funny comments all around from the nervous “AUDITORIUM ”. Oh, in fact the arrangement of the auditorium is very very special too. On the right most of the smokers try to use up as much cigarette as possible, on the left the newcomers arrive. Some are sitting on the steps in front of the door and some unusual people (read-Vako) are sitting on the flower pots. photos. See example below: The funny thing is that there always is someone so sad about the test that he can’t even smile. After all of us realize that there is no way of changing anything as test is already finished we head towards tam tam tammmmm McDonald’s, AKA the place for sharing our emotions about SAT drowning them in humongous amounts of Big Mac. -Are you sure ? Was it definitely “E”? -No way! I know it was “D” ! E said “auspicious”! – How could you not get that, it was equilateral triangle! – Oh sh.t! I did not realize the radii were the legs. Some of us realize we failed it and some leave the place with a large large smile on their face. 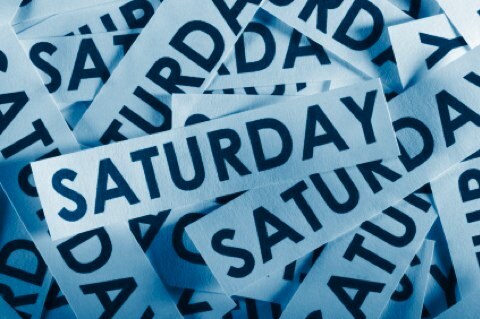 There are so so many other things we feel and do on Saturdays but I certainly can’t write about all of those. As for those who have not experienced all that yet… there’s a lot ahead of you! BTW I have seen some of the “newbie” Juniors the last time so I want to proudly tell you that Zandukeli—- it’s all yours now ! So December SAT just passed and it might be the last for most of us! For those who still want to try their luck in January GOOOOOD LUUCK! 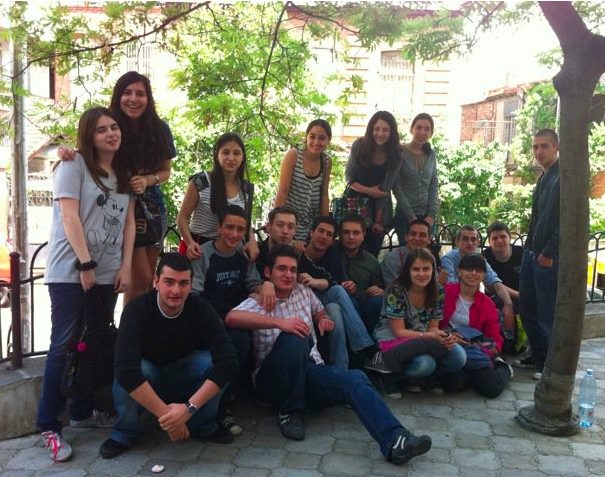 This entry was posted in School Life and tagged Anamaria Sukhitashvili, Class of 2012, SAT, Zandukeli. Thaks for the SPARKLE ! Anamaaaaaaaaaaa… ajdhadha ..ra magaria ! hahaaa !!!!!!! GREAT JOB !!! it’s so much fun reading it after those TERRIBLE SATURDAY MORNINGS we went through all together ! !